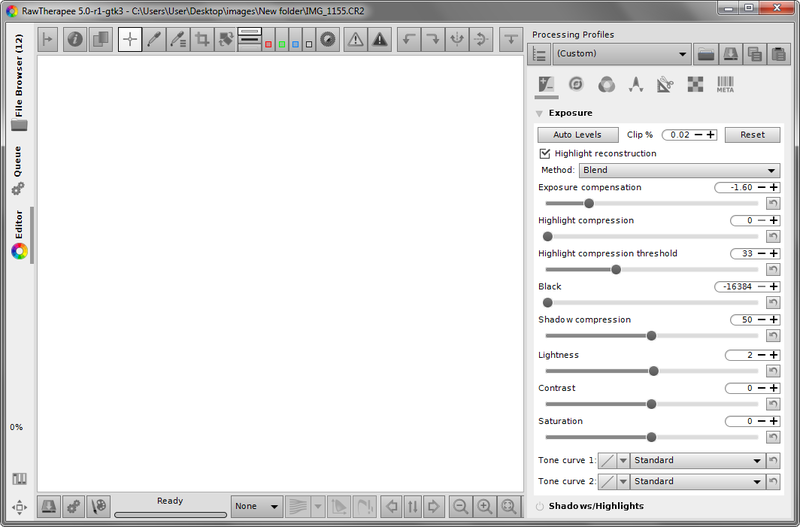 Since incorporating the GIMP Toolkit, RawTherapee has not had a light theme. I have thus modified the TooWaBlue theme by TooWaBoo. In RawTherapee, open Preferences (the slider icon at the lower left), and on the General tab, select the TooWaLight theme. Ubuntu 16.04 uses TooWaLight-GTK3-_19.css. Korora 25/Fedora 25 and Mac OS X 10.10 use TooWaLight-GTK3-20_.css. Starting with RT 5.2, Windows 7 uses TooWaLight-GTK3-20_.css.